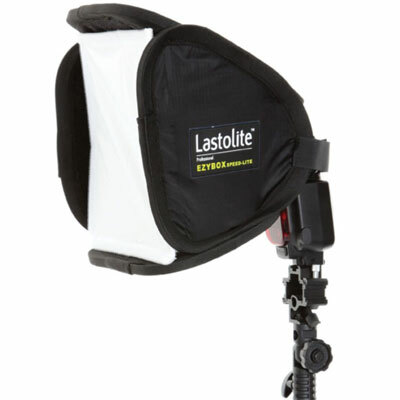 Lastolite have released a new portable softbox for hotshoe flashes, the 22cm * 22cm Ezybox Speed-Lite. Leicestershire, UK: Lighting accessory company Lastolite have released a new portable softbox in their Ezybox range. The new 22cm * 22cm Ezybox Speed-Lite is designed for system flashes and fits directly to the head of a flash. Unlike the Ezybox Hotshoe series, no mounting bracket is required, allowing you to fit the softbox when the flash is on the camera. You can still mount your speedlight on a light stand as you normally would. The recommended retail price for the Lastolite Ezybox Speed-Lite is £50.00, available from Lastolite dealers.